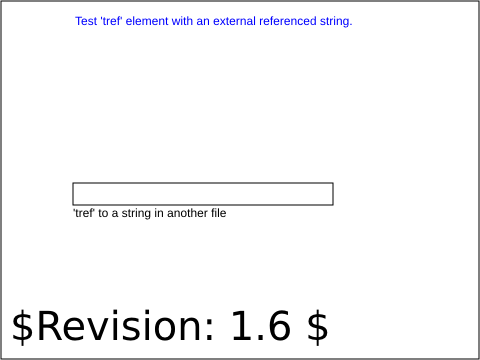 Test viewer capability to handle a basic 'tref' element which points to a text string in an external file. The test case consists of a single sub-test. The box in the middle of the frame should contain green "Simple external referenced text. 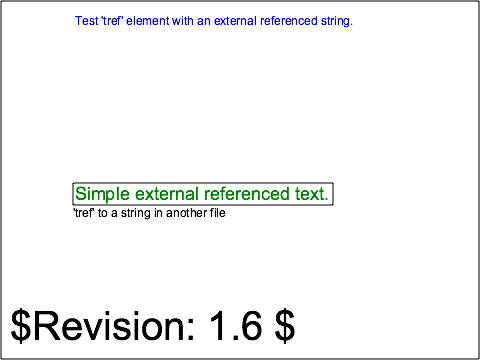 ", which is obtained by a 'tref' element reference to a 'text' element in a 'defs' section of another file (text-extTref-BE-18-targ.svg). The rendered picture should match the reference image, except for possible variations in the text fonts and layout (per CSS2 rules).